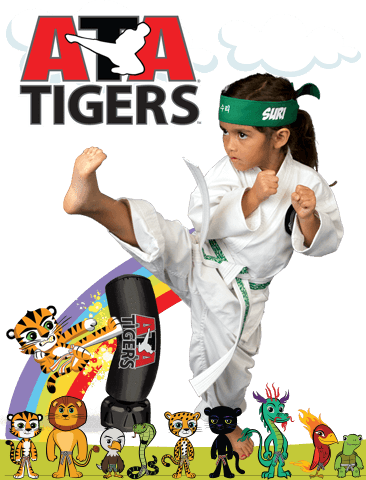 PARENTS IN Hillsborough ARE ASTONISHED BY THE POSITIVE IMPACT MARTIAL ARTS CLASSES ARE HAVING ON THEIR CHILD! 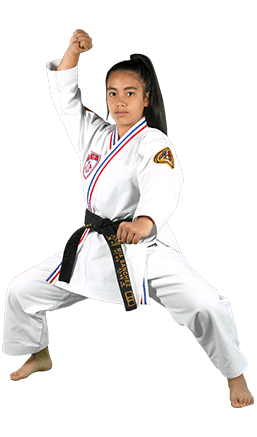 Students ages 7-12 learn fundamental concepts including DISCIPLINE and FOCUS through high energy training exercises that teach basic techniques such as blocks, strikes, and kicks. Classes are 45 minutes long and combine Fitness challenges (PERSEVERANCE TRAINING), with structured technical drills that enhance the ability to follow directions and complete tasks independently. Advance rank students continue to enhance physical skills with the addition of Weapons, Sparring, and Board Breaking training. 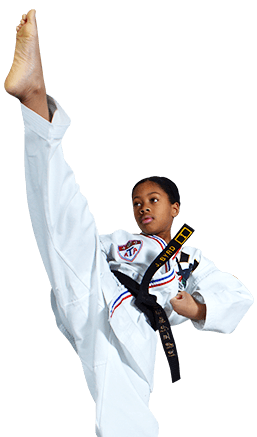 Traditional TaeKwonDo basics increase in difficulty to further develop focus through more complex combinations of basic skills. POSITIVE ATTITUDE is reinforced as PERSEVERANCE is strengthened by more demanding fitness drills and exercises. 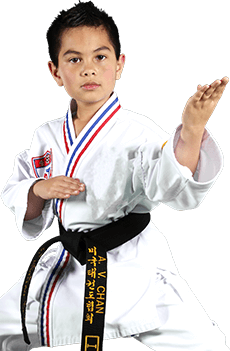 Black Belts are our most highly trained students. 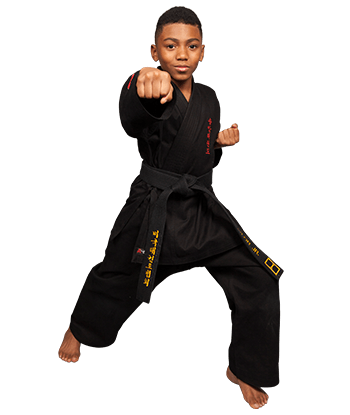 The black belt level of training requires and further enhances the concepts of FOCUS, DISCIPLINE, PERSEVERANCE, and RESPECT. 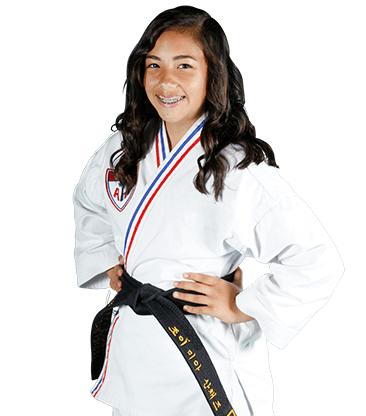 The achievement of Black Belt and belonging to this elite rank group creates a level of CONFIDENCE and SELF ESTEEM that will raise your child’s motivation. Traditional weapons training is a fun, fast-paced addition at the advanced rank level. Weapons training adds excitement and an extra level of difficulty which helps build increased focus, and coordination through target and partner drills. Board Breaking introduces students to the advanced concept of GOAL SETTING - when faced with a challenge (the Board) students must focus on the solution instead of on the possibility of failure and then proceed with their best effort to complete the CHALLENGE. Board Breaking reinforces qualities of technique like proper striking surfaces, penetration, and power! 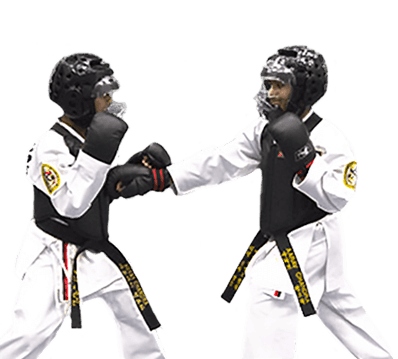 In Sparring, we teach our students to remain calm and focused when faced with a high-intensity situation like facing an opponent in a real life assault or in the competition ring. Drills develop an understanding of Movement, Distance, Timing and Proper Targeting. 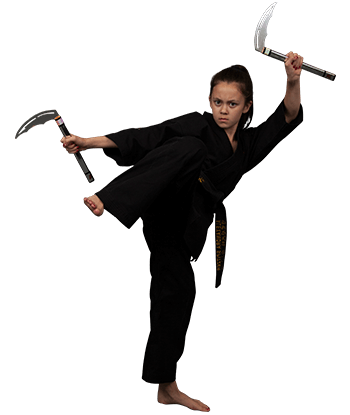 XMA, which stands for Xtreme Martial Arts, is a fusion of traditional martial arts basics like blocks kicks and strikes with elements of various contemporary performing arts, such as gymnastics, acrobatics, and modern dance. Our Creative and extreme program allows students to develop the confidence to perform with passion and intensity in front of an audience. This coupled with our ATA Leadership class will give your child the edge as a confident Leader in Life!